8 Super Bowl recipes that qualify as game day food AND dinner too. For all of our focus on moderation and healthy family eating, all of us here at Cool Mom HQ are suckers for game day food. (Food writers: they’re just like us!) But you know what we’re not suckers for? Kids claiming that they’re fine with snacks like chips, guac, and pretzels all night long, and then complaining that they’re starving because they didn’t eat a proper dinner… right at bedtime. This year, I’ve learned my lesson and have found eight mouthwatering Super Bowl recipes that will totally satisfy my family’s game day food cravings, but also serve as dinner. Because I will not give them any reason to complain about going to bed after the big game. Well, other than the Patriots winning. Again. Sigh. Related: 5 Instant Pot Super Bowl recipes for a kitchen slam dunk, er, touchdown. Ha! 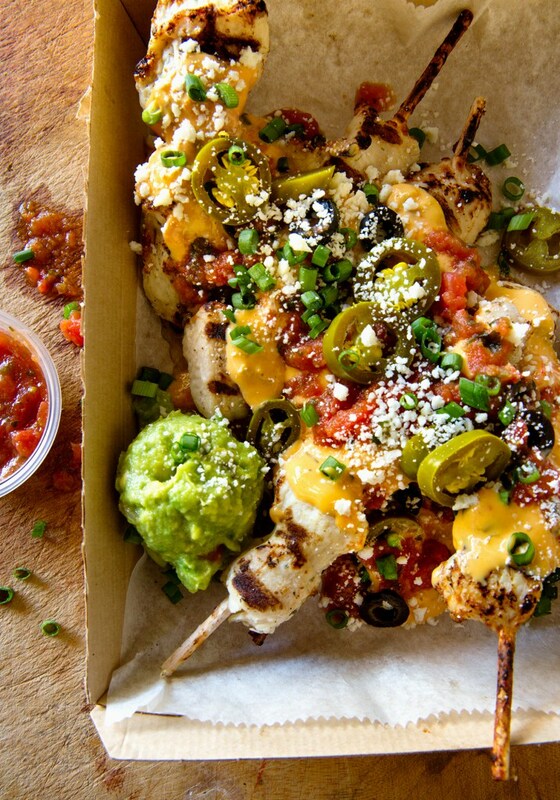 Nachos, but with dinner-worthy chicken skewers instead of chips as the base? These Chicken Skewer Nachos at Real Food by Dad are nothing short of genius, and absolutely perfect for the Super Bowl. If you’d rather not skip chips all together, combine them with shredded chicken and protein-rich black beans, too, to make this Spicy Chicken Tortilla Casserole at Dad with a Pan. Don’t let “spicy” scare you if you’re sharing with heat-adverse eaters; just reduce or skip the cayenne and serve this with hot sauce on the side for anyone who wants to add heat to taste. 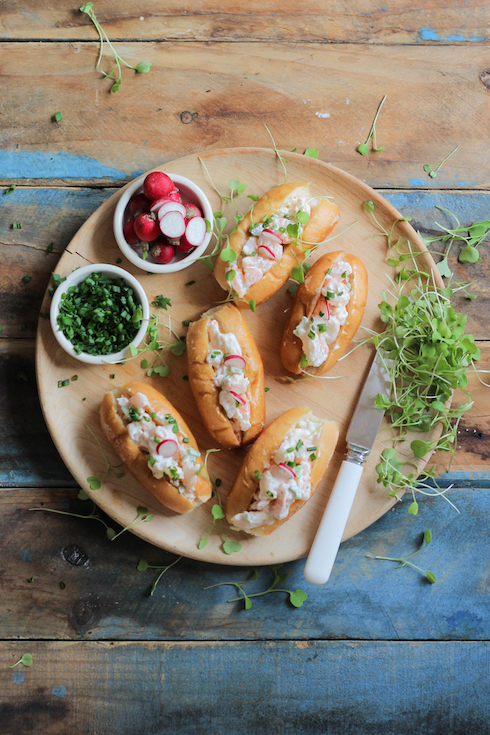 Okay, New England fans: These Mini Lobster Rolls at The Food Fox are for you. I may not be a fan of your team (hey, to each their own), but I sure do love your regional eats, and lobster rolls are the pinnacle. Go ahead and splurge on the good stuff: you know you think you’re going to win anyway. Ha! 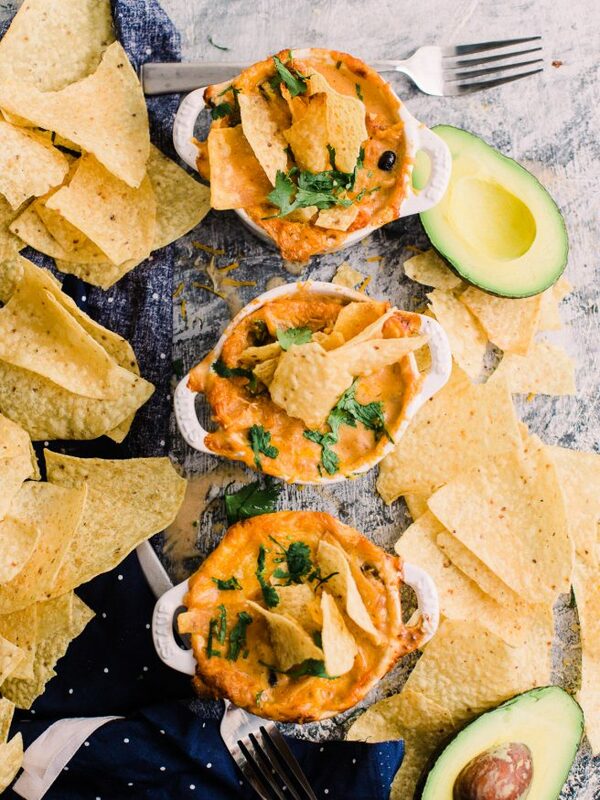 Related: 7 amazing nachos recipes for anytime game day food is in order. 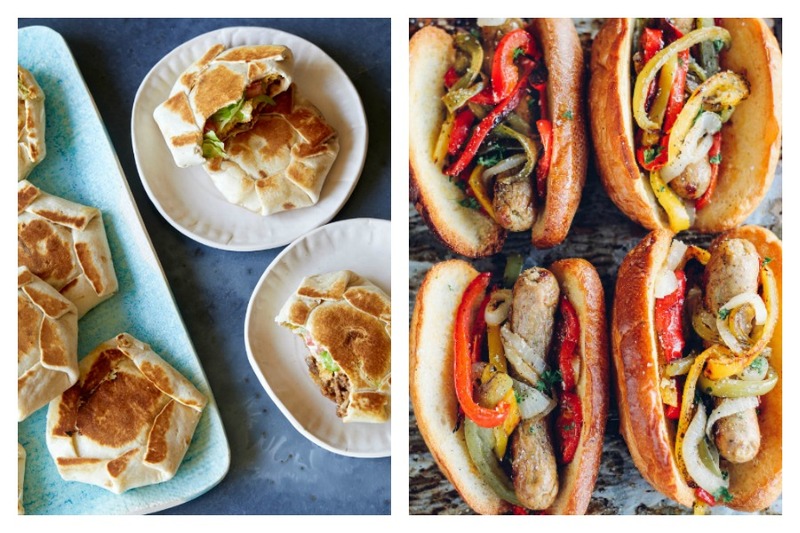 Combine game day eats and a sheet pan meal, and I’m in! 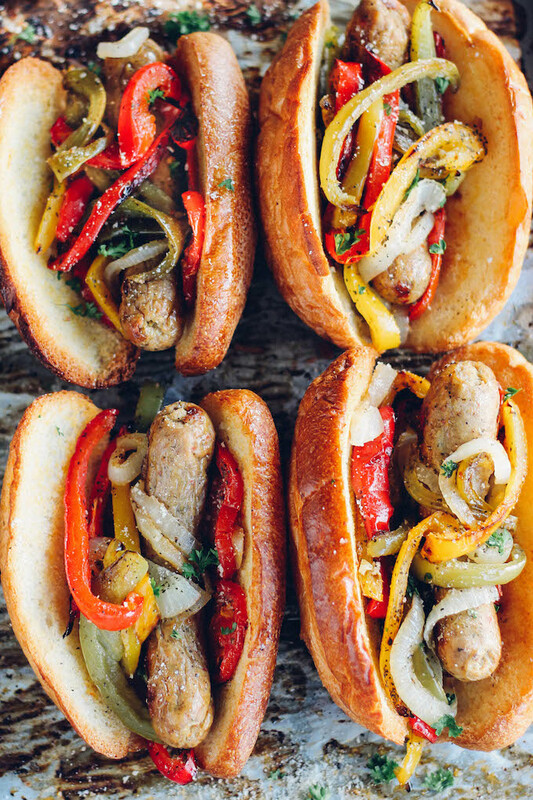 These Sheet Pan Sausage and Pepper Hoagies at Destination Delish look amazing and super easy too. Serve them with a side of chips and skinny snack dips for the win — no matter which team takes home the trophy. 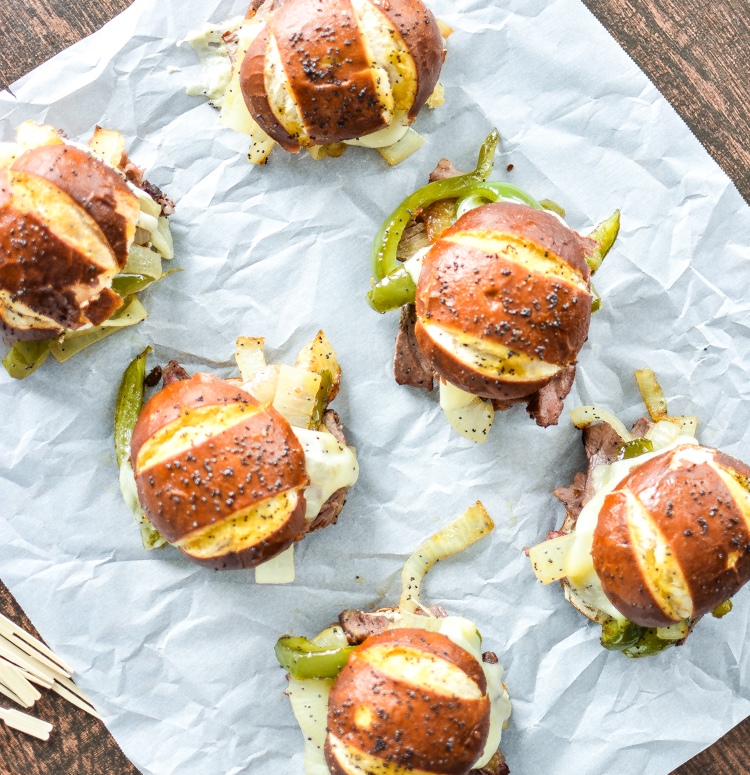 We can’t let Patriots fans have all the regional food fun, so these Philly Cheesesteak Sliders with Provolone at Cooking and Beer are for you, my fellow Eagles fans! You can’t get more Philly vibes than a cheesesteak. Well, unless you serve these up with a big bag of Herr’s chips and some Tastykakes for dessert. Sounds like a perfect plan to me. 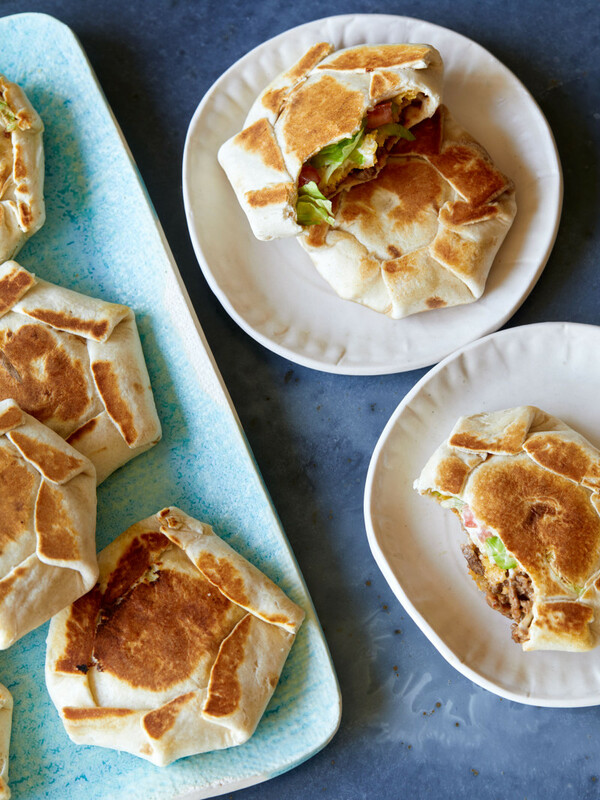 I’m not a fast food person (ahem, anymore) and my kids have never been to Taco Bell, yet I’m feeling these Mini Crunchwrap Supremes at Spoon Fork Bacon hard. And if there was ever a moment to make a copycat Taco Bell recipe, Super Bowl evening is it. You cannot tell me that this wouldn’t be a hit in your home. I mean, you can, but I won’t believe you. 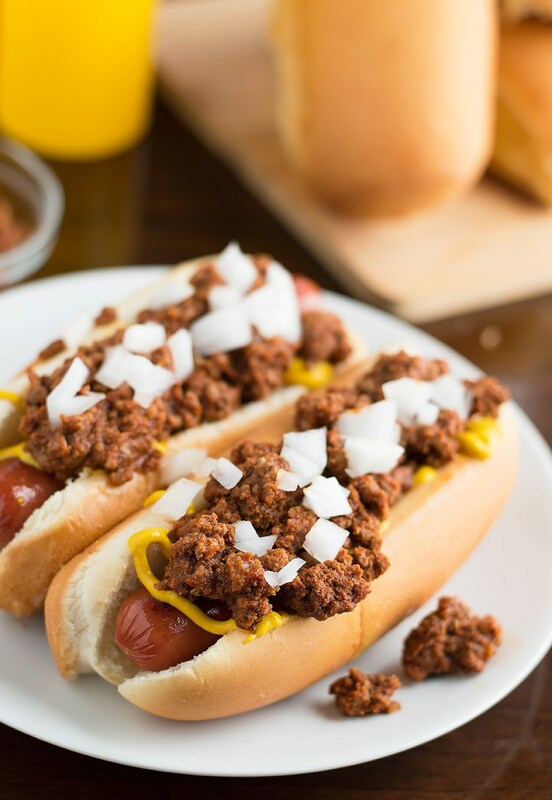 Bring the stadium eats home — but better — with these Easy homemade Chili Dogs at Savory Spicerack. I love that Sharee refuses to use those taco seasoning packs, which can be packed with chemicals, but still keeps her recipe super fast and simple. 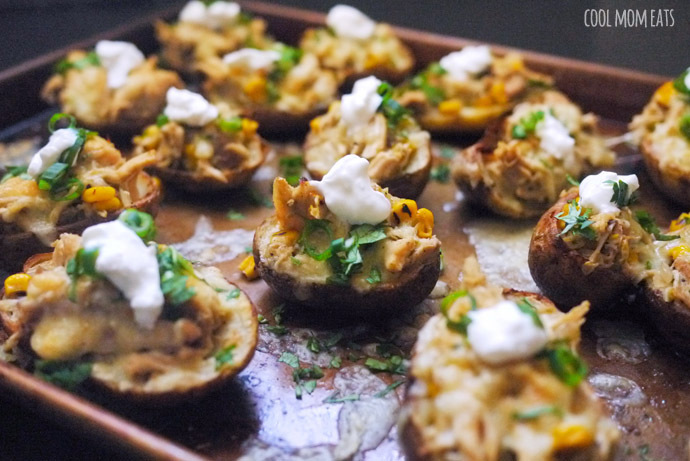 Potato skins are a classic, and when you fill the shells with chicken cooked in a creamy enchilada sauce, these Creamy Chicken Enchilada Potato Skins totally qualify as dinner. Bonus: The chicken filling comes together in the slow cooker, and can even be made ahead of time.